I got inspiration for a new nature themed set while enjoying walks around the meadows on my property. I really loved the process of taking the things I see each day on these rambles and transfering them into beautiful stamp images. I paired the images up with some of my favorite phrases. I love all of the doodles and flourishes that have been popping up on t-shirts, packaging and even home decor items lately. I took this inspiration and created a new sentiment set that coordinates with a great basic frame included in the collection. This hip stlylish look will quickly become one of your favorites to incorporate into your projects! love the new line up, can’t wait for more peeks! the ferns looks beautiful – anxious to see the whole set. Love the ferns. Going to me a must have for me. Enchanting peeks! Loving the phrases too! Totally intrigued by the release #7. Very lovely, Nichole. 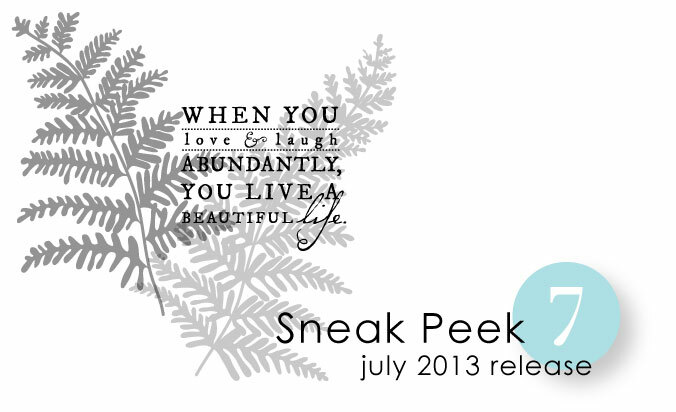 I love the ferns….can’t wait to see the rest of that set! Both of these look really fantastic. Can’t wait to see more! Seriously need to get my hands on these. 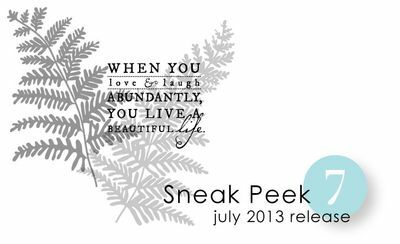 I love inspirational sentiments and paired with the ferns….heaven I can’t wait to see the remainder of the set, I know it will be a must have! Looks intriguing. Sentiment sets are always useful. These are just lovely, thanks for the sneak peek. Show me more, Show me more! 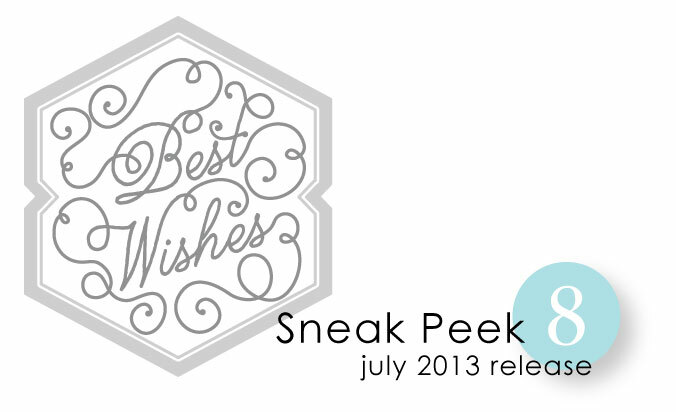 Oh wow–both of today’s sneak peaks are must-haves for me! Just my style! Loving all these sneak peeks! Love them both. I like the ferns. Love, love, love the ferns! OOO I love the ferns! I can’t wait to see more of the fern! The ferns are just beautiful!! I especially like the ferns. Can’t wait to see the projects. I can see this month is going to be a budget buster! I like the branches. Gives more options for guys….have so many flowers! This is great. The ferns are beautiful, and I love the sentiment! Can never have too many sentiments. Looking forward to the 15th! Love, love, love ferns stamp!!! Absolutely love #7 … can’t wait to see it in color!